I was happy to read that “sankirtan (chanting with others) is superior even to kirtan (chanting alone) because it produces such extraordinary feelings”. That has always been my conviction, but here was a declarative statement by Sri Jiva Gosvami, one of the greatest Vaisnava scholars, in his classic work Sri Bhakti Sandarbha. The answer was simple and clear, “hearing made easy by music!” The test of any meditational practice is its ability to help focus the mind on the object of one's meditation, usually mantra. As proper melody and rhythm spontaneously allure the mind, mantra couched in music naturally makes mantra meditation easier. 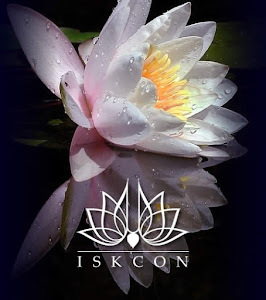 And as the focus insankirtan is the very object of the practitioner's devotion (the divine names of God), extraordinary feelings, such as devotion and joy, increasingly arise as one's meditation deepens. 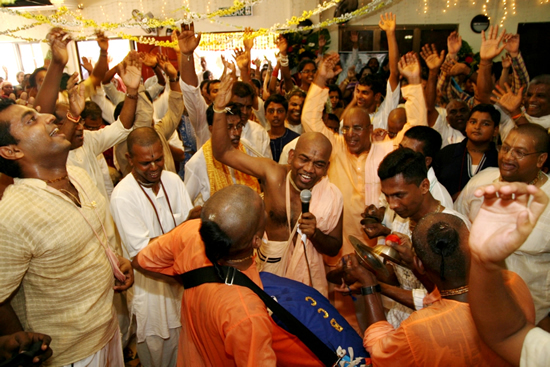 The power of music is not the only reason why sankirtan invokes more astonishing feelings than chanting alone. Being inspired by the reference about sankirtan from Sri Jiva, I delved further into why this practice is considered exceptional. As bhakti andkirtan, are the components of sankirtan, I naturally began my study there. In bhakti, the object of meditation is the Divine (Brahman) designated in mantras containing holy names such as Rama and Krishna, which are considered non-different from Brahman. Thus unlike yoga, where to quell the mind one chooses an arbitrary object as a prop for meditation, the bhakta selects an object of devotion. Consequently, the bhakta is spontaneously drawn to meditation out of attraction, rather than just will power, making it the best means of focusing the mind. Furthermore, the Divine names as an object of meditation are alive and personal. They thus can reciprocate the practitioner's devotion by bestowing the desired fruits of his practice, even samadhi, the final goal. For this reason, that in bhakti the fruits of devotional meditation can even exceed the practitioner's yogic effort, bhakti is called the path of grace and is highly praised. As mentioned above, the use of songs and music in mantra meditation is deemed particularly powerful, even within the path of bhakti. Why? Among sense objects, sound is considered particularly absorbing, and especially gripping in good music. The mind is thus naturally allured to the designated mantra embedded in musical sounds. In addition, the melodies, or ragas, accompanying kirtan, are composed to stir devotion, the very force behind the bhakta's meditation. Philosophers throughout history describe how attraction to music is imbedded deep within the psyche. Plato in The Republic, for example, recommended that a child's education be mostly composed of good music to harmonize or spiritualize the mind. Srila Viswanath Cakravarti, a prominent 17th century Vaisnava scholar, went even further. In his commentary on Krishna's famous midnight dance with the cowherd maidens (the gopis) of Vrindavana, he described the number of melodies the gopis sang as one for every 16,000 species of life, implying the innate connection between the essential nature of each species and a particular melody. It is precisely this instinctive connection between tune and being that so powerfully weds mantra and music in the heart and mind of the chanter and makes the experience of sankirtan so potent. Still it is not the power of music alone that elevates sankirtan over other practices ofbhakti. Other important enhancing characteristics of sankirtan are the full capacity to evoke grace, the power of group petition, and the superiority of shared bliss. Sri Caitanya is glorified in Caitanya Bhagavat as sankirtanaika-pitarau, the father ofsankirtan. The best way to please the father is to serve his son. 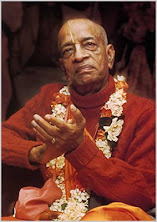 Thus by wholeheartedly giving oneself to that which is born of Sri Caitanya (sankirtan), they will gain His blessings. This is consistent with the culture and philosophy of traditional India: by honoring the predecessors of one's tradition, the power of what they exemplified, practiced and taught flows to one's heart. The fullest manifestation of Sri Caitanya's teachings is prema (divine love), which manifests to those fully absorbed in the sankirtanof the holy names born from Him. The Srimad Bhagavatam gives another interesting perspective on the efficacy ofsankirtan in its description of the events leading to Sri Krishna's advent. The story begins with Mother Earth in the form of a distressed cow tearfully approaching the chief executive of the universe, Lord Brahma. She seeks relief from the burden of the increasing number of militaristic rulers plundering her planet. Concerned, Lord Brahma, accompanied by Siva and all the demigods, leaves for the sacred milk ocean to petition the Lord's advent. The question has been raised why Lord Brahma brought such an entourage of luminaries with him, when he was perfectly qualified to gain direct access to the Lord by the purity of his own prayer. Learned commentators on the Bhagavatamhave shared this interesting insight: Lord Brahma was instructing by example that in prayer, all things being equal, group petition is more powerful than individual prayer.Bhakti is the path of entreaty. Accordingly, sankirtan, the kirtan of collective appeal, invokes extraordinary feelings of grace and delight. For this reason, that shared feelings are so powerful, devotional emotions tend to increase in communal kirtan. I remember a kirtan I joined one summer evening in 1986 in the Indian town of Farrukhabad where the accomplished BB Govinda Swami was leading our sankirtan group in the town's annual Ram Bharat procession. Almost one million people from the district lined the streets for this yearly commemoration of the wedding of Sita and Ram. I could barely stand the heat on this muggy August day, but it was the portable lanterns on the heads of the dozens of coolies walking to light our way that created an especially intolerable setting. One can't imagine how many bugs even a single lantern attracts on a muggy summer night in India! The Swami is not an ordinary kirtaniya. As a child he grew up in Nashville, Tennessee, the son of a famous music agent. Elvis Presley and Johnny Cash regularly frequented his house and often held him on their laps. Whatever soul he imbibed from his birth was later channeled into kirtan in his youth. In the early 70s he became a devotee of Krishna and lived in Vrindavana at the feet of some of the greatestkirtan masters. On that muggy night in August his sweet, powerful, melodious kirtanaccompanied by a host of expert Bengali and African American mrdanga players was exceptionally potent. I remember it well. Due to my discomfort, when it began all I could think of was, “when will this end!” Shortly, however, the mantra, the melody, the rhythm, the camaraderie, and the grace sent us to another world, as it did the throngs of Indian villagers lining the streets. I closed my eyes and absorbed myself in the sankirtan. What seemed a relatively short time later, I opened them. It was five in the morning! I was startled! How did that happen, I pondered? Now I know: Yoga made easy by music! The Absolute Reality is called Brahman, which can manifest in various ways. When the Absolute Reality is fully manifest in sound (sabda), it is called sabda brahman, sound, which is Absolute Reality.